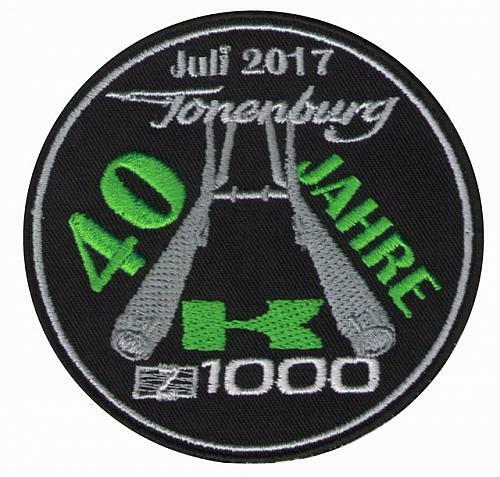 International: Z1000 40th anniversary meeting. Raffle tickets will be sold on the event. Re: International: Z1000 40th anniversary meeting. Shirts look fabulous but sending via IBAN is expensive. Please can you ensure some shirts are available at the rally. Most of us are XL size I guess ? offered in the web-shop including T-Shirts. because the food is included in the price. Guys, thanks for making it another great trip and Rally. Here to the next one. Peter K,I'm sure all the Brits who attend had a great time and the rally will be remembered and talk about for many years.Please pas my thanks to all the organisers and the hotel for putting on such a great rally. Here's to the next one. I'm rather effed off with Photobucket as not all my photos are on my pc so deleted this post. Last edited by tlc on Thu Jul 13, 2017 11:44 am, edited 3 times in total. The party is over and I hope all of you had a safe journey back home. THX for such a strong group vistiting the event ! If anyone wants a patch, you can order it from Holger. I managed to get to all the places I had set out to visit (about fourteen different places around Germany/Belgium) which ticked a few more things off my bucket list, I ended up doing 1750mls. in my van and 500mls. on the bike, so 2250mls. all in. I had a little issue.